I saw a tweet today which revisited an old familiar theme. 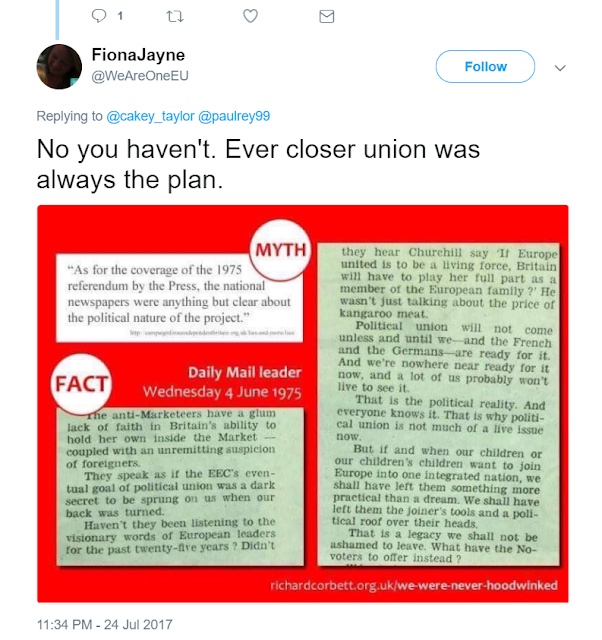 The claim that we have been lied to for decades by our politicians that the aim of the EU was always ever closer union - leading to a political union and a single European state. A Remain supporting EU-phile shot back with a Daily Mail editorial from the 1970's. Her point being it was crystal clear what the intent of the then EEC was. It is true to say that the aim of the EEC/EU was always ever-closer union. It is in the text of the 1957 Treaty of Rome that founded the EEC. A study of the "Father of Europe" Jean Monnet will also fully illuminate this intent. 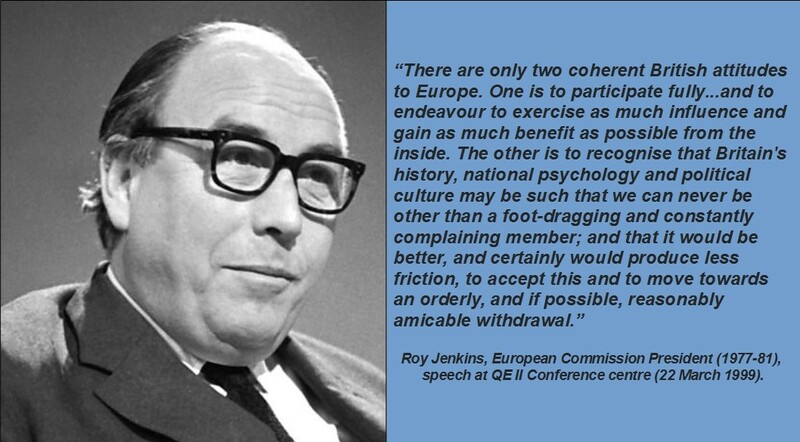 The "economic" case for EEC/EU was always a cover for the real intent of full political union. It is also undeniable that UK politicians have always sought to deny this - to hide an uncomfortable truth from the British public. On our succession to the EEC in 1973, Prime Minister Edward Heath sought to reassure the British public by denying we would sacrifice independence & sovereignty. In 2016, we had Prime Minister David Cameron stating that we wanted to avoid ever closer political union. Cameron's "piece of paper" he brought back from Brussels with its claimed opt-out from ever closer union was widely ridiculed. The experience of 40+ years meant this empty reassurance rang hollow. You can argue that the British public in the 1970's should have known the true intent of the EEC. There were enough clues around. But the fact is, most people saw it as most of the politicians sold it - it was an economic project, not a political one. The British public did not willing and knowingly consent to political union. Finally, there is a key passage in that 1975 Daily Mail editorial which we should pay attention to. "Political Union will not come until we - and the French and the Germans - are ready for it." 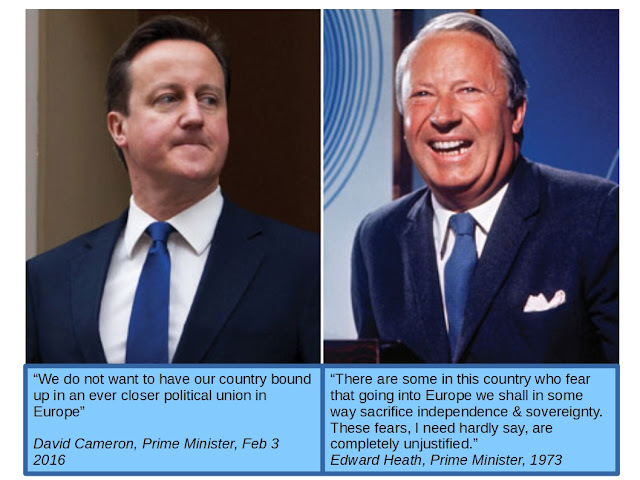 A study of UK politics of the last 40+ years tells you we have never been ready for political union. The EU Referendum confirmed that we are not ready now. The EU is ready for political union and will press on regardless. This more than anything else should tell us that a parting of the ways is inevitable and is best for both parties. The option of returning to an ambivalent, half-hearted membership of the EU is gone. The status quo ante no longer exists. It really is time to move on and embrace our independent future.